Hollis JohnsonMcDonald’s new deal includes the Big Mac as an option. McDonald’s is debuting the $US6 Classic Meal Deal on November 1, McDonald’s executives confirmed to Business Insider. For $US6, customers can buy one entrée, a small fry, a drink or sweet tea of any size, and an apple pie or seasonal pie. 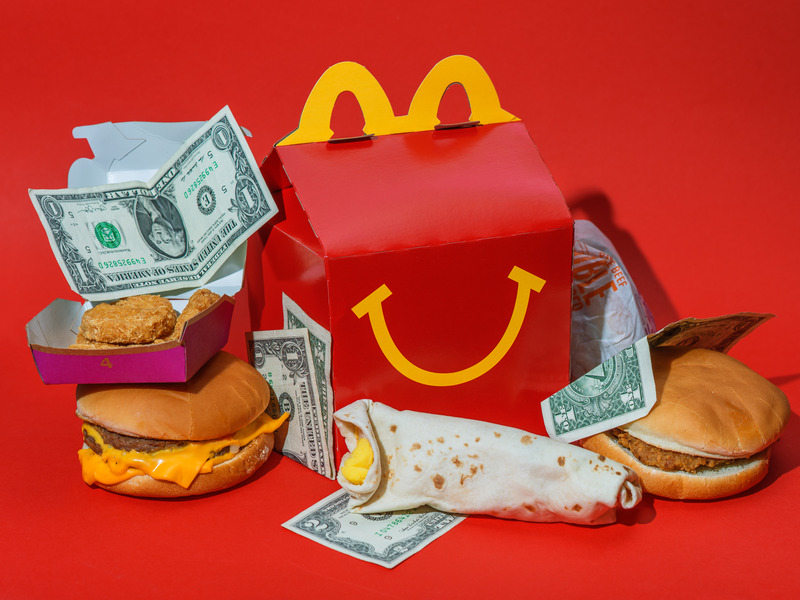 The $US6 Meal Deal “enables us to attract different customer segments, ultimately driving traffic into our restaurants while protecting margin,” said Morgan Flatley, the chief marketing officer of McDonald’s US. The deal represents McDonald’s “most aggressive effort to date” to compete with rivals’ bundled deals, such as Wendy’s Four-for-$US4 deal and KFC’s $US5 Fill-Ups, an analyst said. 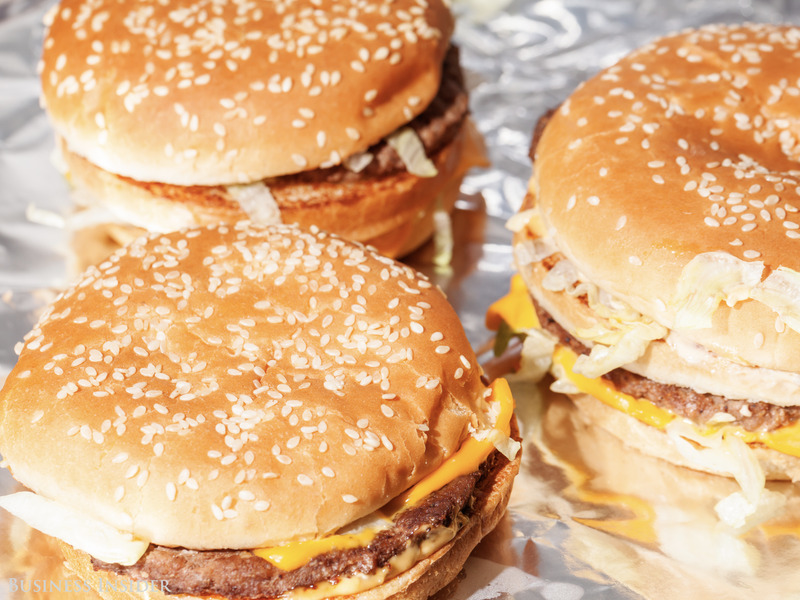 McDonald’s has a new deal to win over budget shoppers. On November 1, the company will debut the $US6 Classic Meal Deal for a limited time, according to McDonald’s executives who confirmed internal documents viewed by Business Insider. For $US6, customers can purchase one entrée, a small fry, a drink or sweet tea of any size, and an apple pie or seasonal pie. Customers can pick from one of four classic entrées: a Quarter Pounder with cheese, a Big Mac, 10-piece McNuggets, or a Filet-O-Fish sandwich. “The industry is very competitive when it comes to value, but we remain focused on delivering against our ongoing commitment to build a better McDonald’s for customers,” Flatley said. Hollis JohnsonMcDonald’s Dollar Menu items. McDonald’s will continue to offer its Dollar Menu in addition to the $US6 Meal Deal. Executives hinted at the upcoming deal in an earnings call with analysts on Tuesday. “We’ll soon launch a new Classic Meal Deal option featuring some of our iconic core menu items for our customers looking for a satisfying meal at an affordable price,” CEO Steve Easterbrook said. Analysts have been buzzing about the deal since McDonald’s reported earnings, despite the lack of details provided by the company. “We believe the Classic Meal Deal will prove to be MCD’s most aggressive effort to date to compete with the bundled value offerings that virtually all of its competitors have been promoting for several years,” Jeff Farmer, an analyst with Gordon Haskett Research Advisors, said in a note on Tuesday. McDonald’s also hinted during the call at the launch of new breakfast items. 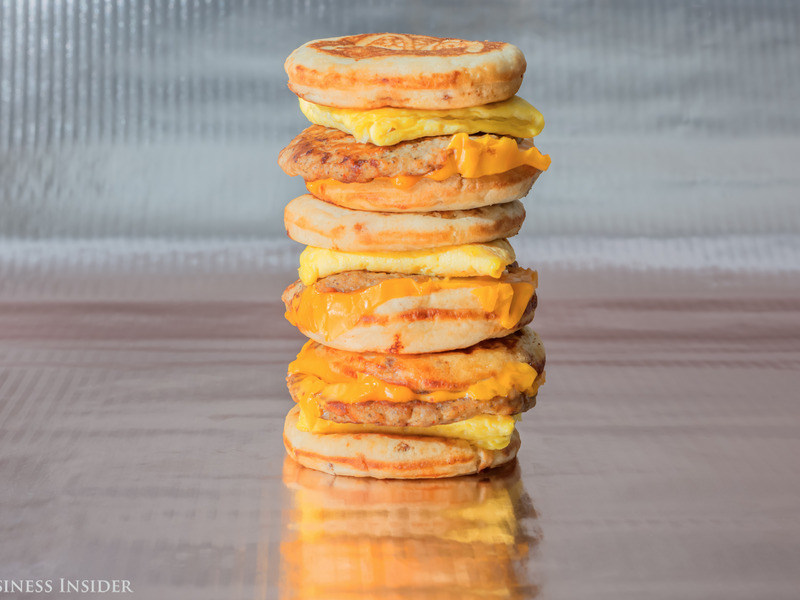 Business Insider first reported that the fast-food chain would add three breakfast sandwiches to the menu in November, and McDonald’s confirmed on Tuesday evening. “While traffic remained negative this quarter, we believe the upcoming breakfast menu news and meal deal offers will sustain the concept’s sales gains while technology becomes a greater contributor in 2019,” BTIG’s Peter Saleh wrote in a note on Wednesday. McDonald’s has been exploring a range of ways to win over budget shoppers. The chain recently wrapped what executives called a successful Two-for-$US5 Mix-and-Match Deal that debuted in August. McDonald’s has also been pushing digital discounts to persuade customers to download its app. “This does drive some traffic, but the message is both tired and drives people to trade down rather than to explore higher-priced options,” Saunders continued. McDonald’s isn’t alone in its value obsession as fast-food rivals battle to win over customers on a budget. Earlier this year, Wendy’s expanded its Four-for-$US4 bundle deal, and Taco Bell doubled down on its value menu. Meanwhile, KFC’s US chief marketing officer, Andrea Zahumensky, told Business Insider the chain was testing new value platforms as customers are increasingly economically squeezed.